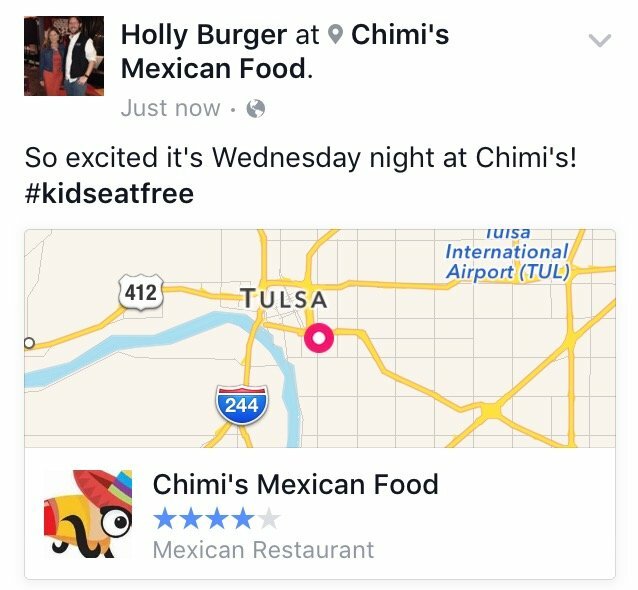 Chimi’s has been a Tulsa Mexican Food tradition since 1983, and I have great memories of my family eating meals and enjoying quality time here as a child. It is a privilege to be able to share my love for fresh food and memorable moments with your family and friends. At Chimi’s we pride ourselves on making fresh and delicious food from raw ingredients everyday. We pride ourselves on not being just another restaurant. We are a locally owned business that cares about our customers and staff. Chimi’s would not be here today without the continued support from all of you! 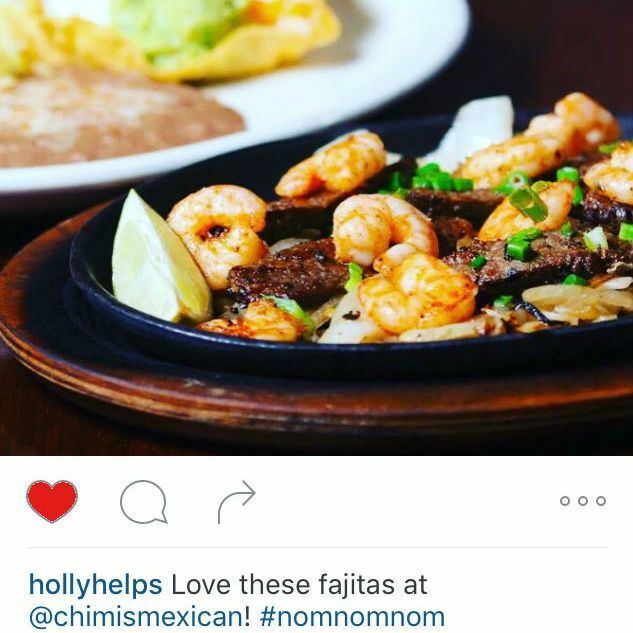 Thank you for making Chimi’s a part of your memories! 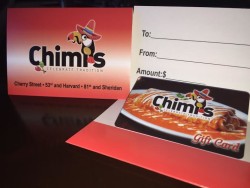 Check in on Facebook or Instagram on your phone next time you are at any of our three locations at Chimi’s, show it to the server and receive a FREE dessert with your purchase. So simple! Try one of our classic desserts, Sopapillas, Root Beer Float and Hot Fudge Brownie! We also have delicious new desserts to try too! Creme Brulee with a Mexican twist and our Flan now have a permanent spot on our menu! Check in next time you come in and try a dessert on us!